From parent/child swim classes for 6 mos old babies through advanced stroke clinics for youth and teens – we have an aquatics class for everyone in your family. Click here to view the aquatics section of our current program guide. In-water evaluation is required for placement in most classes; registration is mail-in or drop off only. Family swim time is a great opportunity for your family to spend time together in the water. 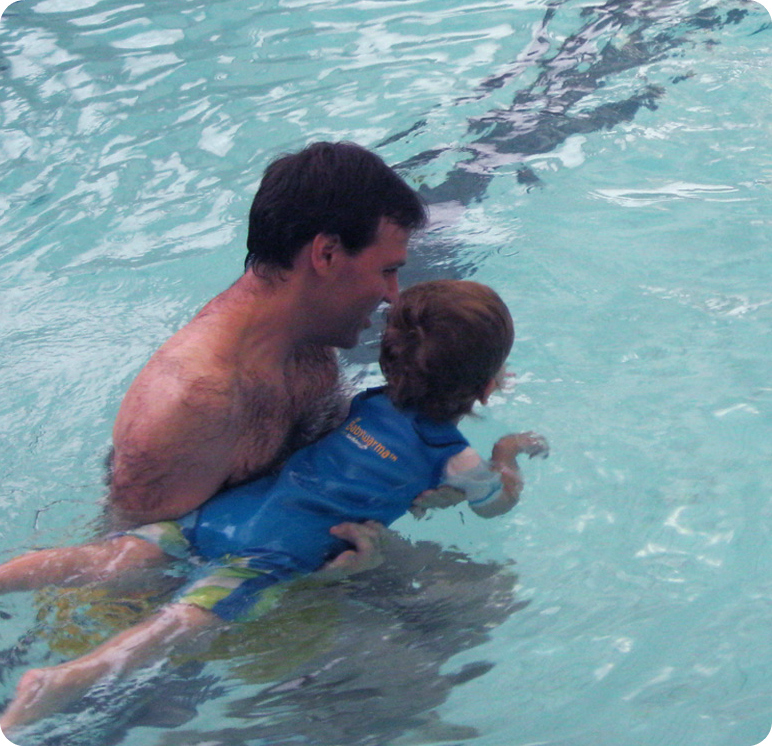 We also offer lap swim for youth (Ages 10-12 – parent must be present to observe from the lobby) and teens (ages 13-15). Click here to view our current pool schedule. We also offer private and semi-private lessons for members. Learn more about our Wave Ryeders swim team, practice team and pre-team.